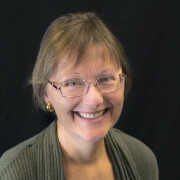 Katherine de Shazer, LMT, CLT, is Board Certified by the National Certification Board for Massage Therapy and licensed by the State of Wisconsin. As a graduate of Blue Sky Professional School of Massage and Bodywork specializing in Medical Therapeutic Massage, Katherine’s work integrates several massage modalities based on an individual’s needs into a session. Continuing education certifications focus on cancer, mastectomy therapy, congestive lymphedema and outcome-based therapies. Her commitment to assisting people making changes and taking charge of their health life is evident in her style of massage which increases body awareness and movement, reduces stress, improves the immune system, promotes relaxation, and reduces tension. Massage and bodywork cannot cure cancer but it can offer greatly needed relief and enhance quality of life and make a significant contribution to your healing process. Katherine employs many different massage modalities including Congestive Lymphedema Therapy, to safely nurture the body, mind, and spirit of anyone dealing with cancer. Cranial Sacral or Cranio Sacral Therapy (CST) is a hands-on healing practice that works with the central nervous system. Widely used by osteopaths, chiropractors, naturopaths, physiotherapists and massage therapists a light manual touch placed on the body helps to release restricted tissue and assists the body’s return to its natural healing ability. Clients dealing with migraines, headaches, TMJ Syndrome, neck and back pain, emotional issues and depression, chronic muscle and joint pain, as well as, many other conditions will benefit from this therapy. Clients are fully clothed and lie or sit in a comfortable position during this therapy. K-Taping is placed on the affected body areas after a bodywork session. K-tape affects several systems (circulatory/lymphatic, neural, muscular, and fascial, joints) by changing muscle and fascial tone and stimulating and increasing blood and lymphatic fluid flow. The tape is made from cotton fiber and latex-free hypoallergenic acrylic adhesive that mimics the thickness and weight of skin. K-Tape differs from athletic taping in that it allows a full range of motion (dependent upon physical condition) and is left on for any period of time needed. K-Tape is available for purchase in the office. You will be instructed how to apply for your specific issue for use at home between office visits. Medical or Therapeutic Massage Therapy is integrative outcome-based bodywork targeting specific problem(s). With your help we evaluate, test, and narrow in on the soft tissue causing the discomfort and plan a course of treatment. The integrative soft tissue modalities used in a session may include any of the following: Cranio Sacral, Medi Cupping, Kinesio Taping, Myofascial, Precision Neuromuscular Therapy, or Positional Release Therapy. Unlike a spa massage this type of therapy requires your validation as we implement the treatment plan. However, you should feel relaxed when finished with treatment. Many conditions are helped with this approach: back and neck pain, chronic pain, sports injuries, pre and post surgery, scar tissue (new or old), arthritis, and many, many more. MediCupping Therapy is a vacuum therapy that uses plastic cups and a vacuum machine to create suction on the body surface. As the cup moves over the tissue surface, the practitioner uses various techniques to help mobilize joints and release soft tissue. This suction works to mobilize inflammation and toxins (cellular debris) to the lymphatic system for elimination. Adhesions of tissue (muscle, fascia, scar tissue, etc.) are mobilized using cupping enabling increased range of motion thereby decreasing discomfort and pain. Cupping is used to help reduce the dimpling affect of cellulite. Many other conditions are helped with MediCupping, such as, arthritis, tendonitis, bursitis, loose skin from weight loss, lymphedema, fibromyalgia, sports injuries, COPD, and more. Myofascial Therapy (MFR) treats the immobility of muscles by relaxing and improving the connective tissue called fascia. Fascia is an elastic, supportive connective tissue that surrounds most structures in the body. Like muscles it can become restricted from overuse, trauma, inactivity, etc. MFR aids in the release of the connective tissue and stimulates the blood and lymphatic circulation to support natural body healing, increase range of motion and reduce associated muscle pain. PNMT and PRT are outcome-based soft tissue manipulation techniques that focus on the evaluation, testing and treatment of the muscles causing the pain. These techniques require your feedback during treatment to hone in on the areas of concern. As with the Medical/Therapeutic Massage you should feel relaxed at the end of the session. Raindrop Therapy/Aromatherapy is a healing technique using essential oils, reflexology techniques, massage and moist heat to restore the body’s balance and harmony mentally, physically and emotionally. It promotes the structural and electrical alignment of the body for renewed health. It is a detoxifying process that helps to fight bacteria and viruses, while improving the immune system. Raindrop Therapy is very relaxing, and rest is suggested following this one and half hour treatment. Conditions helped by Raindrop Therapy include energy fatigue; depression and emotional issues; arthritis and fibromyalgia, colds and flu, immune system deficiency, body pain and inflammation. Raindrop Therapy serves to detox the body, improves Lymph System circulation, as well as, promotes and restores healthy cells and all over balancing of the body. Integrative Massage includes any modalities you need to feel your best. Packages are valid for one year and my be shared with immediate family. CLICK HERE for more information on Therapeutic Massage. Susan Nycz, has been active and involved in health and wellness for over 24 years. She is a Guild Certified Feldenkrais® and Anat Baniel Method for Children SM Practitioner, and a nationally certified and state licensed massage therapist. Susan was a Human Resources Specialist at the U.S. Postal Service for 18 years. She provided stress management and relaxation classes for Postal events and meetings (1994-2010). In the year 2000, Milwaukee Postal management asked her to design and roll out a wellness program for the Milwaukee and District offices. As part of this program, Susan taught Feldenkrais lessons at Postmaster conventions and career conferences (2001-2010). 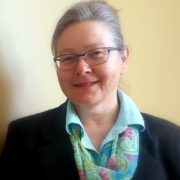 She also worked closely with the Safety Office and as a team member of the Ergonomic Risk Reduction Process (2001-2006), providing a Feldenkrais approach to improve the way city carriers, rural carriers, and clerks performed the functions of their jobs. This entailed visiting many Post Offices to work one-on-one with injured employees and included service talks for the entire staff. Susan has successfully assisted her adult clients improve athletic abilities, lesson chronic pain and migraines, and heal from injuries. She has worked to improve the lives of children with autism, scoliosis, brain injury and anxiety disorder. Feldenkrais and the Anat Baniel Method for Children facilitate individuals of all ages to reach their potential by using the modality of gentle movement to provide the brain with variations and choices to make positive changes.